The other day, my pal Scott Johnson wrote about his unfortunate recent DKA experience and I commented that there was no room for guilt (or the related self-blame) in his conversation, and I really meant it. The simple reality is that the patient cannot always be blamed for this stuff, and attempts to do so really work against effective self-care. But I'd be willing to bet that someone at the hospital he visited probably asked him what happened that lead to that situation, as if the patient was assuredly responsible (at least in part) for that situation. But I'd be willing to guess those same healthcare professionals would never dream of asking a cancer patient what they did to cause their disease. On a similar note, a number of diabetes bloggers (including Kerri Morrone-Sparling, Rachel Baumgartel and Cherise Nicole have written posts recently about things they call diabetes "bad habits" or some other euphemistic term which frankly, seems to transfer or imply guilt and shift the blame away from the disease they are unfortunate enough to live with to the person with the disease instead. (You will note that I refrain from saying "their diabetes" because that implies ownership as if it was a house or car or pair of shoes they decided to buy, which couldn't be further from the truth -- I would never "buy" a disease like diabetes or exchange it for any other ailment, thank you very much). "6. Blame Game. And a sixth (but certainly not the last) bad diabetes habit that I have is my role in the blame game. I put a lot of pressure on myself to get things 'right' and when the diabetes outcome isn't what I'm hoping for, I tend to blame myself. I have to constantly remind myself that strong efforts and a decent attitude go a long way in this marathon, and I can't beat myself up for every low or high that crops up randomly. Diabetes isn't fair, and it isn't easy, and it sure as hell isn't my fault, so I just need to roll with the punches as gracefully as I can." But it really p!$$es me off when individuals without diabetes (especially healthcare professionals such as doctors, public health officials, medical associations, insurance companies, nurses, diabetes educators, nutritionists, etc.) use such stupid and damaging terminology as "your diabetes" and instruct patients that it is their disease and they must "own" it. To the American Association of Diabetes Educators (AADE), let me make something perfectly clear: no place in the organization's Guidelines for the Practice of Diabetes Self-Management Education and Training (DSME/T) mentions "ownership" of diabetes, yet so many CDE's I have encountered over the years seems to believe that the patient needs to "own the disease" in order to manage it effectively. One can be a very effective business manager without actually "owning" that business (although generous stock options and various other evolutions have blurred the distinction for many in recent years), ownership is NOT a requirement to be an effective manager, and the evidence on that, quite frankly, is pretty mixed and anything but clear-cut and decided either way. Seriously, it's not MY diabetes, and the ONLY reason I have this stupid disease is because the medical profession has FAILED to cure me. In effect, that monumental failure to make me better and the resulting forcing me to live with a treatment protocol that, is only partially effective is a lame excuse for someone else's failure that is routinely passed off on the patient. "Despite the significant advances in insulin manufacture, modification, and delivery since that time, the treatment of the absolute insulin deficiency resulting from T1DM is very challenging. Insulin administration remains relatively hazardous and not fully effective in preventing complications, even if managed meticulously." In this particular quote, Dr. Fleming and his colleagues also cited another study by SC Gough entitled "A review of human and analogue insulin trials" which was published in the November 15, 2006 edition of the medical journal Diabetes Research and Clinical Practice which demonstrated some sobering statistics to confirm intensive control's failure even when managed "meticulously". Now, I could diatribe further on any number of these topics, but the reason I believe the medical/disease nomenclature currently used with diabetes is long overdue for major changes, starting with framing the disease as somehow belonging to the patient, is as follows. 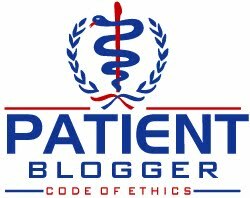 The Oath of Hippocrates taken by all doctors is usually translated to include some language that says something along the lines of "I will prescribe regimens for the good of my patients according to my ability and my judgment and never do harm to anyone." "To succeed with intensive therapy a person must take three or more daily injections of insulin (or insulin pump therapy), four or more daily blood glucose tests, and follow dietary instructions. The principle underlying the belief that more diabetes education will improve a person’s ability and/or desire to practice intensive insulin therapy is grounded in the [flawed] assumption that it is reasonable to expect a person to perform these acts every day for the rest of his or her life." "Of course, in the absence of a cure, diabetes management is important to slow the progression and delay the onset of complications as much as possible, but we should not delude the public, or ourselves, that management is sufficient. At best, it is an inadequate treatment until a cure is found. Diabetes is big business with powerful economic, social and political forces opening and closing doors to our treatments and cures. Billions of dollars are made from selling products to the diabetic community. Developing a cure costs money, and until there is a cure, there is no product to market. There is nothing to sell. At the large diabetes conferences, healthcare professionals are inundated with information about more accurate and simpler blood glucose monitors and insulin delivery systems, but the advocates for curing diabetes, and scientific advances to that end are woefully underrepresented." "In order for this disease to be cured, there needs to be a fundamental shift in the way diabetes is viewed. We need to close the gap between the perception of diabetes as a controllable condition and the reality that it is one of the world’s oldest, deadliest, and most pervasive diseases." The sobering part is that her quotes were written in 2004, and we really need to ask whether we've seen ANY fundamental changes in attitude since that time? Not much, I'm afraid. Even more important, I fundamentally believe that the continued framing of diabetes management as somehow "belonging" to the patient and routinely using terminology to suggest or state disease ownership causes subtle but irreparable psychological damage (though researchers never seem to look into that little subject), which contributes to the widespread incidence of depression in patients with diabetes. "When all is said and done, the fact remains that the rate and incidence of blindness, amputation, heart attacks, and kidney failure caused by diabetes—as reported by the NIH—continue to rise. Insurance companies and healthcare providers ponder this failure and, with few exceptions, conclude that 'educating diabetics' to adhere to an intensive regimen of injections and diets will [miraculously] solve the problem. This philosophy has been the cornerstone of diabetes management and consequently the 'blame' for secondary complications has shifted [away] from the disease itself to the person who has it." We have more than 30 years of this philosophy in clinical practice, and the reality isn't all that convincing. The statistics, by and large, are pretty sad, actually. I could cite many statistics (just look at the ADA's website if you need some), but I don't feel compelled to do so. The reality is that after decades of this, the numbers don't look great. It's time to shift some focus away from trying to improve glycemic control towards curing diabetes, and by that, I mean all types. People with type 1 diabetes have lead the way, incidentally, with the charitable organization known as the Juvenile Diabetes Research Foundation, which aims to fund $1 billion/year in cure-related research. That's a lot of cash towards curing one form of diabetes, but we cannot do it alone. Funds must also come from the pharmaceutical, biotechnology and medical device industries, as well as the U.S. National Institutes of Health, which frankly, sets much of the research agenda. Add to that, the Food and Drug Administration, which too often, have relied on using a reduced glycosated hemoglobin (e.g. "HbA1c") as a "surrogate" for improved patient outcomes, rather than a more intelligent approach of using multiple evaluation criteria. The medical profession seems to enjoy giving themselves plenty of credit for what they refer to as "progress" in diabetes are over the years, while simultaneously not living up to some of their own monumental failures. In fact, when I attended the ADA Scientific Sessions in Washington, D.C., my reaction after the first night was one of, well ... disgust. I attended a cocktail party that was attended by all kinds of diabetes bigwigs, the likes of which included Robert Rizza, John Buse, and a few other self-proclaimed diabetes experts. I left that meeting with the sense of nausea and thinking that those individuals have given plenty of excuses for that failure, but that doesn't entitle them to transfer their failure to me as a patient. "The transformation of disease, as exemplified by the case of diabetes, is a valuable and elegant concept that serves to remind us that the tally sheet for medical science must carry a column for debit as well as credit." That debit column is presently missing from their conversation, as we see a lot of blame transference and shifting, but seldom (if any) owning up to it. Now, the following is part diatribe, and part brutal fact. Diabetes remains as a disease, because of a failure to cure it, and also because of a continued fixation (above all else) on glycemic control rather than a fixation on finding one or more cures. One look no further than the medical journals to see how disproportionate the publications are weighed towards glycemic control rather than studies and commentaries related to disease eradication and cures. For heaven's sake, how many more studies do we really need on glycemic control? That needs to be a closed chapter, folks. The benefits are known, but there are seldom studies into why so few patients actually achieve this lofty goal. When they do look into it, the result is usually to transfer blame away from the treatment protocol itself to say, lack of insurance coverage or some other convenient excuse. Why not just admit it's a lofty theory that's incredibly hard to achive, even with all the tools that exist (many of which patients must struggle to get coverage for, BTW)? I won't even address conflicts-of-interest, but the medical profession has a sloppy track record there, folks. Also, the medical profession is quite afraid to actually use the term "cure" in almost any context, a practice that really needs to be questioned. They need to abandon the fear to use that term, and to start using it more freely, or, I believe, we'll never actually see a cure emerge. The language of diabetes has been shaped almost exclusively by individuals who do not have diabetes. That's a big, huge problem, and one which needs to change. Patients with diabetes need to be a part of the equation, or there is risk that the medical profession's already abysmal track record on this disease will continue. Let me just close by noting that I am ENTITLED to complain about this disease, because I never, ever, ever, ever get a break from it. That, my friends, is entitlement. Don't anyone dare try to deny me that right, or you'll get an earful you might not be prepared for. I require an outlet to deal with it, and if complaining to anyone who will listen helps, so be it. Plus, I'm sick of hearing comments about how "so and so really didn't take care of themselves, if they had, they wouldn't have lost their leg, their vision, or whatever other horrible diabetes complication they may have suffered" from people whose diabetes knowledge comes from watching daytime television and maybe an occasional newspaper article. No one with cancer takes blame for their disease, and no one with diabetes shouldn't have to, either. Ironically, recent research has showed that eating a diet loaded with carbohydrates may actually help to fuel cancer, but the same cannot be proven unequivocally about any type of diabetes. I feel SOOOOOOOO much better after getting that off my mind! If feeling "in control" helps you to deal with diabetes, great, but just because it works for you doesn't mean it will work for me or anyone else with diabetes. I need an outlet to vent my frustration. BTW, I'll take compliments and even legitimate (meaning substantiated) critiques, but don't even bother if you just want to disagree but aren't willing to back your comments up with actual data or science. I'm really not in the mood for that kind of conversation, and I do moderate comments on this blog. Scott, this is SUCH a great post. I think that we've all been brainwashed to think that we should be able to flawlessly manage everything, all the time. As someone who has worked in technical support, I can state that knowing how a problem developed (symptoms over time, unsuccessful efforts to mask or mitigate the symptoms) can help in diagnosing the underlying cause and providing the correct solution. Medical diagnosis is often also made easier with a distinct patient history. To me, the issue appears to be more in how the questions are presented (aka "bedside manner"). Perhaps that might be made easier if the patient is allowed to relate the etiology as he understands it, with the clinician then asking for information that might be missing, using basic customer service "soft skills" to put the patient at ease. Perhaps the issue with the concept of "ownership" is that the word has been used in corporatemanagementspeak to mean "taking responsibility for" -- in the case of diabetes, taking responsibility for diet, testing, and medications (not restricted to, or from, exogenous insulin). The argument is that we own our bodies (counterargument: the government and insurance companies have co-opted that away from us) and are therefore responsible for taking care of them to the greatest extent theoretically possible (forget about how Real Life gets in the way of that). Unfortunately, diabetes has not read the textbook on how it is "supposed" to behave, and too often decides to "do its own thing". Fabulous post. I can see this as a nice op-ed somewhere, edited down. Really liked it. Great post! I think the blame and shame game may be the hardest part of living with diabetes. How much better would our "control" be if we really felt supported instead of judged? I generally try to think that the less than helpful comments from others are well intended and just based on ignorance. But well intented ignorance really doesn't have to be laced with blame and interwoven with assumptions about fault. Diabetes is not a character flaw, it's a disease! This is really a helpful article especially because there are many theories about how to maintain/live with diabetes. The most amazing part is that doctors do not tell us the truth to effectively suppress the disease they want us to keep on buying the pills so that they continue making money. The best thing to do is to learn from nations who are least affected by diabetes for instance Asians. Thank you. A million times over, thank You for writing this. Well said...but I fear that you are just preaching to the choir. I will no longer use the term ownwership. If more diabetics would look at the problem(s) as you do, perhaps rising outrage would give voice to true activism. You touched on a couple of my overarching sore points: health care professionals (doctors, CDE’s) want to fit all diabetics into a neatly circumscribed “one-size-fits-all” box. It makes their jobs easier, and if the individual fails, it is because he didn’t try hard enough . . . not because the cookie-cutter protocol does NOT address individuality. And secondly, the fact that the profession/industry has a captive experimental population, the disease is, in fact, just too damn profitable to cure. Hmmmm, where have I hard that. Again, great job . . . hopefully, you’ll stimulate some grey matter, open some eyes, alleviate some misplaced guilt, and shift the emphasis to where it accurately belongs: failure to aggressively seek a cure. Absolutely great post, Scott. I know when I was in the hospital last Thanksgiving, I felt so guilty. Thanks for writing this! Thank you for saying this. Today I woke up with a 149, then rang in at 297 when I got to work 90 minutes later. (This with no food and a mile walk in between.) And yet I sit here feeling guilty, backtracking my night and morning over & over again to figure out where I "messed up". It's screwed up to even have to think this way...sometimes it's diabetes that "owns" me. Thank God for bloggers like you! I have read this post several times. So true, so great. Well said. I think some spouses might benefit from reading this as well. Excellent, Scott. Enjoyed reading this refreshing perspective. I am so tired of having to reassure PWD that we didn't do this to ourselves and that control is elusive even with the best of intentions. In July, I had to call ahead for a CDE appointment and explain I would be late due to a low that kept me from driving. When I arrived, the CDE had the gall to ask me WHY I had gone low. I swallowed my smartass answer, but I wanted to say "Oh, I'm sorry. You see, my pancreas doesn't work. I have di-a-be-tes and have to rely on insulin to control my blood sugar." Thank you for this post! I would add that, as a patient with diabetes, it is very difficult to escape preconceived notions of what "good control" should look like. Most people seem to see "good control" as meaning something along the lines of "your diabetes doesn't inconvenience me regularly" and despite my best efforts, going low in public often results in friends and neighbors believing that I don't take my health seriously enough. Unfortunately, this couldn't be further from the truth. I think you've blurred the lines a bit. I wholeheartedly agree about not carrying guilt. Despite our best efforts, bad things will happen. It is the disease. And when bad things happen because we didn't do this or that or we guessed wrong or whatever, yes, it's still the disease. Management in the "real world" is said to be successful if 60% of the decisions are right. That just doesn't translate to diabetes management. We need to be 100% correct, and it will never happen. However, I disagree about ownership and the benefits of taking ownership. We have to own this disease to have any hope. I do. I have no intention of letting it beat me, and it has a great head start of over thirty years of partial-ownership. Have you ever seen a diabetic who refused to take ownership? I've seen too many. They are not pretty. Be truthful. You do take ownership. If you didn't, you wouldn't be writing a blog and trying to help people. And the rest of you wouldn't be reading this! No the complications are not steadily increasing. I've seen recent articles on how amputations and blindness are actually declining in type 1's. People like Dr. Bernstein who halted and reversed his complications at age 45 are inspirational to me. He's what, 75 or 80 now? Take a look around the online communities. Diabetics by the scores are improving their chances. It is not unusual at all for example to find type 1's with sub-6 A1C's or type 2's losing significant double and triple digit weight. People are fighting back and helping others fight back. You can't do this without owning your disease. And please don't tell me I'm compromising the quality of my life by choosing a carb restricted diet. Besides being a requirement of fighting back, I am finding it is actually enabling me to enjoy life as I had always hoped I would. I'm pressing on with my head held high, and yes, I own this f***ing monster! My planned last words are "I owned you!"